Chevrolet Suburban - модельный ряд, комплектации, подробные технические характеристики по годам выпуска как новых, так и автомобилей с пробегом. Chevrolet Suburban 3.4 MT Syncro-mesh 3MT Sport Coupe 3MT 72 л.с. 1936 г. 1937 г.
Chevrolet Suburban 3.5 3MT Synchro-mesh 3MT Sport Coupe 3MT 90 л.с. 1947 г. 1955 г.
Chevrolet Suburban 3.5 4MT Synchro-mesh 4MT Sport Coupe 4MT 90 л.с. 1947 г. 1955 г.
Chevrolet Suburban 3.5 MT Syncro-mesh 3MT Sport Coupe 3MT 78 л.с. 1938 г. 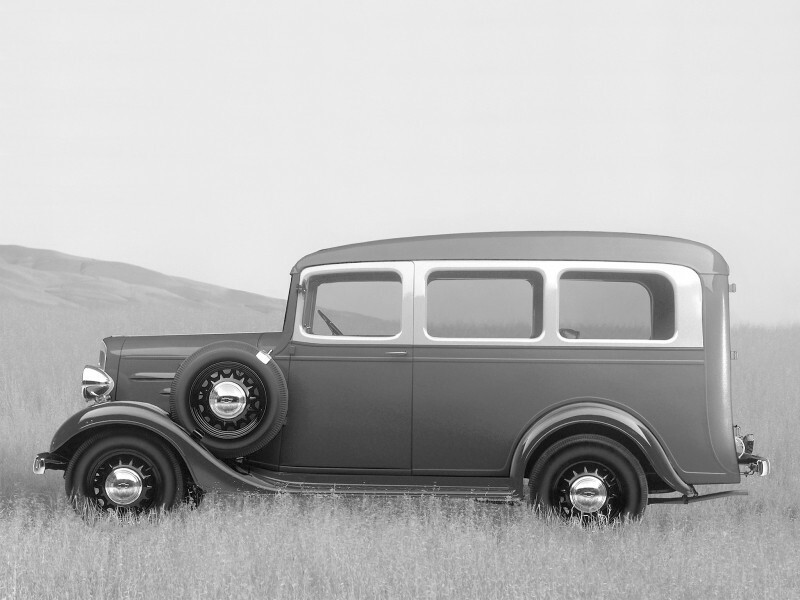 1940 г.
Chevrolet Suburban 3.5 MT Syncro-mesh 3MT Sport Coupe 3MT 90 л.с. 1941 г. 1946 г.
Chevrolet Suburban 3.8 3MT Synchro-mesh 3MT Sport Coupe 3MT 140 л.с. 1963 г. 1966 г.
Chevrolet Suburban 3.8 4MT Synchro-mesh 4MT Sport Coupe 4MT 140 л.с. 1963 г. 1966 г.
Chevrolet Suburban 3.8 4MT Synchro-mesh 4WD 4MT Sport Coupe 4MT 140 л.с. 1963 г. 1966 г.
Chevrolet Suburban 3.8 AT Powerglide 2AT Sport Coupe 2AT 140 л.с. 1963 г. 1966 г.
Chevrolet Suburban 3.8 Economy 3MT Synchro-mesh 3MT Sport Coupe 3MT 125 л.с. 1963 г. 1966 г.
Chevrolet Suburban 3.9 3MT Synchro-mesh 3MT Sport Coupe 3MT 112 л.с. 1954 г. 1955 г.
Chevrolet Suburban 3.9 3MT Synchro-mesh 3MT Sport Coupe 3MT 112 л.с. 1955 г. 1955 г.
Chevrolet Suburban 3.9 3MT Synchro-mesh 3MT Sport Coupe 3MT 123 л.с. 1955 г. 1955 г.
Chevrolet Suburban 3.9 3MT Synchro-mesh 3MT Sport Coupe 3MT 140 л.с. 1956 г. 1957 г.
Chevrolet Suburban 3.9 3MT Synchro-mesh 3MT Sport Coupe 3MT 145 л.с. 1958 г. 1958 г.
Chevrolet Suburban 3.9 3MT Synchro-mesh 3MT Sport Coupe 3MT 135 л.с. 1959 г. 1959 г.
Chevrolet Suburban 3.9 3MT Synchro-mesh 3MT Sport Coupe 3MT 135 л.с. 1960 г. 1962 г.
Chevrolet Suburban 3.9 4MT Synchro-mesh 4MT Sport Coupe 4MT 112 л.с. 1954 г. 1955 г.
Chevrolet Suburban 3.9 4MT Synchro-mesh 4MT Sport Coupe 4MT 112 л.с. 1955 г. 1955 г.
Chevrolet Suburban 3.9 4MT Synchro-mesh 4MT Sport Coupe 4MT 123 л.с. 1955 г. 1956 г.
Chevrolet Suburban 3.9 4MT Synchro-mesh 4MT Sport Coupe 4MT 140 л.с. 1956 г. 1957 г.
Chevrolet Suburban 3.9 4MT Synchro-mesh 4MT Sport Coupe 4MT 145 л.с. 1958 г. 1958 г.
Chevrolet Suburban 3.9 4MT Synchro-mesh 4MT Sport Coupe 4MT 135 л.с. 1959 г. 1959 г.
Chevrolet Suburban 3.9 4MT Synchro-mesh 4MT Sport Coupe 4MT 135 л.с. 1960 г. 1962 г.
Chevrolet Suburban 3.9 4MT Synchro-mesh 4WD 4MT Sport Coupe 4MT 140 л.с. 1957 г. 1957 г.
Chevrolet Suburban 3.9 4MT Synchro-mesh 4WD 4MT Sport Coupe 4MT 145 л.с. 1958 г. 1958 г.
Chevrolet Suburban 3.9 4MT Synchro-mesh 4WD 4MT Sport Coupe 4MT 135 л.с. 1960 г. 1962 г.
Chevrolet Suburban 3.9 AT Hydra-Matic 4AT Sport Coupe 4AT 112 л.с. 1954 г. 1955 г.
Chevrolet Suburban 3.9 AT Hydra-Matic 4AT Sport Coupe 4AT 112 л.с. 1955 г. 1955 г.
Chevrolet Suburban 3.9 AT Hydra-Matic 4AT Sport Coupe 4AT 123 л.с. 1955 г. 1956 г.
Chevrolet Suburban 3.9 AT Hydra-Matic 4AT Sport Coupe 4AT 140 л.с. 1956 г. 1957 г.
Chevrolet Suburban 3.9 AT Hydra-Matic 4AT Sport Coupe 4AT 145 л.с. 1958 г. 1958 г.
Chevrolet Suburban 3.9 AT Hydra-Matic 4AT Sport Coupe 4AT 135 л.с. 1959 г. 1959 г.
Chevrolet Suburban 3.9 AT Powerglide 2AT Sport Coupe 2AT 135 л.с. 1960 г. 1962 г.
Chevrolet Suburban 3.9 Economy 3MT Synchro-mesh 3MT Sport Coupe 3MT 110 л.с. 1959 г. 1959 г.
Chevrolet Suburban 3.9 Economy 3MT Synchro-mesh 3MT Sport Coupe 3MT 110 л.с. 1960 г. 1962 г.
Chevrolet Suburban 3.9 Economy 4MT Synchro-mesh 4MT Sport Coupe 4MT 110 л.с. 1959 г. 1959 г.
Chevrolet Suburban 3.9 Economy 4MT Synchro-mesh 4WD 4MT Sport Coupe 4MT 110 л.с. 1959 г. 1959 г.
Chevrolet Suburban 3.9 Economy AT Hydra Matic 4AT Sport Coupe 4AT 110 л.с. 1959 г. 1959 г.
Chevrolet Suburban 4.1 3MT Fully Synchronized 3MT Sport Coupe 3MT 155 л.с. 1967 г. 1970 г.
Chevrolet Suburban 4.1 3MT Fully Synchronized 3MT Sport Coupe 3MT 145 л.с. 1971 г. 1972 г.
Chevrolet Suburban 4.1 3MT Heavy Duty 4WD 3MT Sport Coupe 3MT 155 л.с. 1967 г. 1970 г.
Chevrolet Suburban 4.1 3MT Heavy Duty 4WD 3MT Sport Coupe 3MT 145 л.с. 1971 г. 1972 г.
Chevrolet Suburban 4.1 4MT 4MT Sport Coupe 4MT 155 л.с. 1967 г. 1970 г.
Chevrolet Suburban 4.1 4MT 4MT Sport Coupe 4MT 145 л.с. 1971 г. 1972 г.
Chevrolet Suburban 4.1 4MT 4WD 4MT Sport Coupe 4MT 155 л.с. 1967 г. 1970 г.
Chevrolet Suburban 4.1 4MT 4WD 4MT Sport Coupe 4MT 145 л.с. 1971 г. 1972 г.
Chevrolet Suburban 4.1 C10 3MT Fully Synchronized 3MT Sport Coupe 3MT 100 л.с. 1973 г. 1974 г.
Chevrolet Suburban 4.1 C10 3MT Fully Synchronized 3MT Sport Coupe 3MT 100 л.с. 1976 г. 1978 г.
Chevrolet Suburban 4.1 C10 3MT Fully Synchronized 3MT Sport Coupe 3MT 130 л.с. 1979 г. 1979 г.
Chevrolet Suburban 4.1 C10 4MT 4MT Sport Coupe 4MT 100 л.с. 1973 г. 1974 г.
Chevrolet Suburban 4.1 C10 4MT 4MT Sport Coupe 4MT 100 л.с. 1976 г. 1978 г.
Chevrolet Suburban 4.1 C10 4MT 4MT Sport Coupe 4MT 130 л.с. 1979 г. 1979 г.
Chevrolet Suburban 4.1 C10 AT Turbo Hydra-Matic 3AT Sport Coupe 3AT 100 л.с. 1973 г. 1974 г.
Chevrolet Suburban 4.1 C10 AT Turbo Hydra-Matic 3AT Sport Coupe 3AT 100 л.с. 1976 г. 1978 г.
Chevrolet Suburban 4.1 C10 AT Turbo Hydra-Matic 3AT Sport Coupe 3AT 130 л.с. 1979 г. 1979 г.
Chevrolet Suburban 4.1 K10 3MT Fully Synchronized 4WD 3MT Sport Coupe 3MT 100 л.с. 1973 г. 1973 г.
Chevrolet Suburban 4.1 K10 4MT 4WD 4MT Sport Coupe 4MT 100 л.с. 1973 г. 1973 г.
Chevrolet Suburban 4.1 K10 AT Turbo Hydra-Matic 4WD 3AT Sport Coupe 3AT 100 л.с. 1973 г. 1973 г.
Chevrolet Suburban 4.1 Powerglide 2AT Sport Coupe 2AT 155 л.с. 1967 г. 1970 г.
Chevrolet Suburban 4.1 Powerglide 2AT Sport Coupe 2AT 145 л.с. 1971 г. 1972 г.
Chevrolet Suburban 4.1 Turbo Hydra-Matic 3AT Sport Coupe 3AT 155 л.с. 1967 г. 1970 г.
Chevrolet Suburban 4.1 Turbo Hydra-Matic 3AT Sport Coupe 3AT 145 л.с. 1971 г. 1972 г.
Chevrolet Suburban 4.1 Turbo Hydra-Matic 4WD 3AT Sport Coupe 3AT 145 л.с. 1971 г. 1972 г.
Chevrolet Suburban 4.3 3MT Synchro-mesh 3MT Sport Coupe 3MT 155 л.с. 1956 г. 1957 г.
Chevrolet Suburban 4.3 4MT Synchro-mesh 4MT Sport Coupe 4MT 155 л.с. 1956 г. 1957 г.
Chevrolet Suburban 4.3 AT Hydra Matic 4AT Sport Coupe 4AT 155 л.с. 1956 г. 1957 г.
Chevrolet Suburban 4.6 3MT Synchro-mesh 3MT Sport Coupe 3MT 160 л.с. 1958 г. 1959 г.
Chevrolet Suburban 4.6 3MT Synchro-mesh 3MT Sport Coupe 3MT 160 л.с. 1960 г. 1962 г.
Chevrolet Suburban 4.6 3MT Synchro-mesh 3MT Sport Coupe 3MT 175 л.с. 1963 г. 1966 г.
Chevrolet Suburban 4.6 4MT Synchro-mesh 4MT Sport Coupe 4MT 160 л.с. 1958 г. 1959 г.
Chevrolet Suburban 4.6 4MT Synchro-mesh 4MT Sport Coupe 4MT 160 л.с. 1960 г. 1962 г.
Chevrolet Suburban 4.6 4MT Synchro-mesh 4MT Sport Coupe 4MT 175 л.с. 1963 г. 1966 г.
Chevrolet Suburban 4.6 AT Hydra Matic 4AT Sport Coupe 4AT 160 л.с. 1958 г. 1959 г.
Chevrolet Suburban 4.6 AT Powerglide 2AT Sport Coupe 2AT 160 л.с. 1960 г. 1962 г.
Chevrolet Suburban 4.6 AT Powerglide 2AT Sport Coupe 2AT 175 л.с. 1963 г. 1966 г.
Chevrolet Suburban 4.8 3MT Fully Synchronized 3MT Sport Coupe 3MT 170 л.с. 1967 г. 1970 г.
Chevrolet Suburban 4.8 3MT Fully Synchronized 3MT Sport Coupe 3MT 165 л.с. 1971 г. 1972 г.
Chevrolet Suburban 4.8 3MT Heavy Duty 4WD 3MT Sport Coupe 3MT 170 л.с. 1967 г. 1970 г.
Chevrolet Suburban 4.8 3MT Heavy Duty 4WD 3MT Sport Coupe 3MT 165 л.с. 1971 г. 1972 г.
Chevrolet Suburban 4.8 3MT Synchro-mesh 3MT Sport Coupe 3MT 165 л.с. 1963 г. 1966 г.
Chevrolet Suburban 4.8 4MT 4MT Sport Coupe 4MT 170 л.с. 1967 г. 1970 г.
Chevrolet Suburban 4.8 4MT 4MT Sport Coupe 4MT 165 л.с. 1971 г. 1972 г.
Chevrolet Suburban 4.8 4MT 4WD 4MT Sport Coupe 4MT 170 л.с. 1967 г. 1970 г.
Chevrolet Suburban 4.8 4MT 4WD 4MT Sport Coupe 4MT 165 л.с. 1971 г. 1972 г.
Chevrolet Suburban 4.8 4MT Synchro-mesh 4MT Sport Coupe 4MT 165 л.с. 1963 г. 1966 г.
Chevrolet Suburban 4.8 AT Powerglide 2AT Sport Coupe 2AT 165 л.с. 1963 г. 1966 г.
Chevrolet Suburban 4.8 Powerglide 2AT Sport Coupe 2AT 170 л.с. 1967 г. 1970 г.
Chevrolet Suburban 4.8 Turbo Hydra-Matic 3AT Sport Coupe 3AT 170 л.с. 1967 г. 1970 г.
Chevrolet Suburban 4.8 Turbo Hydra-Matic 3AT Sport Coupe 3AT 165 л.с. 1971 г. 1972 г.
Chevrolet Suburban 4.8 Turbo Hydra-Matic 4WD 3AT Sport Coupe 3AT 165 л.с. 1971 г. 1972 г.
Chevrolet Suburban 5.0 3MT Fully Synchronized 3MT Sport Coupe 3MT 200 л.с. 1967 г. 1970 г.
Chevrolet Suburban 5.0 3MT Fully Synchronized 3MT Sport Coupe 3MT 200 л.с. 1971 г. 1972 г.
Chevrolet Suburban 5.0 3MT Heavy Duty 4WD 3MT Sport Coupe 3MT 200 л.с. 1967 г. 1970 г.
Chevrolet Suburban 5.0 3MT Heavy Duty 4WD 3MT Sport Coupe 3MT 200 л.с. 1971 г. 1972 г.
Chevrolet Suburban 5.0 4MT 4MT Sport Coupe 4MT 200 л.с. 1967 г. 1970 г.
Chevrolet Suburban 5.0 4MT 4MT Sport Coupe 4MT 200 л.с. 1971 г. 1972 г.
Chevrolet Suburban 5.0 4MT 4WD 4MT Sport Coupe 4MT 200 л.с. 1967 г. 1970 г.
Chevrolet Suburban 5.0 4MT 4WD 4MT Sport Coupe 4MT 200 л.с. 1971 г. 1972 г.
Chevrolet Suburban 5.0 C10 3AT 3AT Sport Coupe 3AT 160 л.с. 1981 г. 1981 г.
Chevrolet Suburban 5.0 C10 3MT Fully Synchronized 3MT Sport Coupe 3MT 115 л.с. 1973 г. 1973 г.
Chevrolet Suburban 5.0 C10 3MT Fully Synchronized 3MT Sport Coupe 3MT 140 л.с. 1977 г. 1979 г.
Chevrolet Suburban 5.0 C10 4AT 4AT Sport Coupe 4AT 160 л.с. 1983 г. 1986 г.
Chevrolet Suburban 5.0 C10 4MT 4MT Sport Coupe 4MT 140 л.с. 1977 г. 1979 г.
Chevrolet Suburban 5.0 C10 4MT 4MT Sport Coupe 4MT 160 л.с. 1981 г. 1981 г.
Chevrolet Suburban 5.0 C10 AT Turbo Hydra-Matic 3AT Sport Coupe 3AT 115 л.с. 1973 г. 1973 г.
Chevrolet Suburban 5.0 C10 AT Turbo Hydra-Matic 3AT Sport Coupe 3AT 140 л.с. 1977 г. 1979 г.
Chevrolet Suburban 5.0 C20 4MT 4MT Sport Coupe 4MT 140 л.с. 1977 г. 1978 г.
Chevrolet Suburban 5.0 C20 AT Turbo Hydra-Matic 3AT Sport Coupe 3AT 140 л.с. 1977 г. 1978 г.
Chevrolet Suburban 5.0 K10 3MT Fully Synchronized 4WD 3MT Sport Coupe 3MT 140 л.с. 1977 г. 1979 г.
Chevrolet Suburban 5.0 K10 4MT 4WD 4MT Sport Coupe 4MT 140 л.с. 1977 г. 1979 г.
Chevrolet Suburban 5.0 K10 AT Turbo Hydra-Matic 4WD 3AT Sport Coupe 3AT 140 л.с. 1977 г. 1979 г.
Chevrolet Suburban 5.0 K20 3MT Fully Synchronized 4WD 3MT Sport Coupe 3MT 140 л.с. 1977 г. 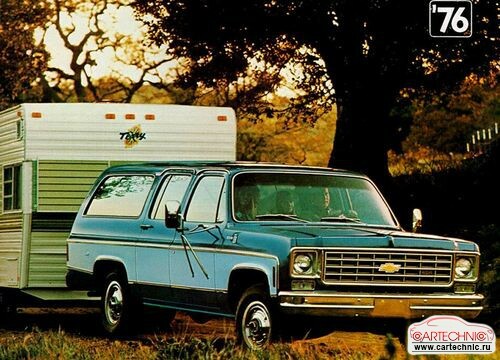 1979 г.
Chevrolet Suburban 5.0 Powerglide 2AT Sport Coupe 2AT 200 л.с. 1967 г. 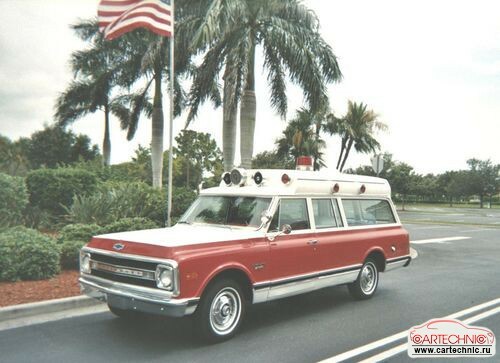 1970 г.
Chevrolet Suburban 5.0 Powerglide 2AT Sport Coupe 2AT 200 л.с. 1971 г. 1972 г.
Chevrolet Suburban 5.0 R10 4AT 4AT Sport Coupe 4AT 170 л.с. 1987 г. 1987 г.
Chevrolet Suburban 5.0 Turbo Hydra-Matic 3AT Sport Coupe 3AT 200 л.с. 1967 г. 1970 г.
Chevrolet Suburban 5.0 Turbo Hydra-Matic 3AT Sport Coupe 3AT 200 л.с. 1971 г. 1972 г.
Chevrolet Suburban 5.0 Turbo Hydra-Matic 4WD 3AT Sport Coupe 3AT 200 л.с. 1971 г. 1972 г.
Chevrolet Suburban 5.3 5AT 5dr Sport Coupe 5AT 288 л.с. 2000 г. 2006 г.
Chevrolet Suburban 5.3 C1500 AT 4AT Sport Coupe 4AT 285 л.с. 2000 г. 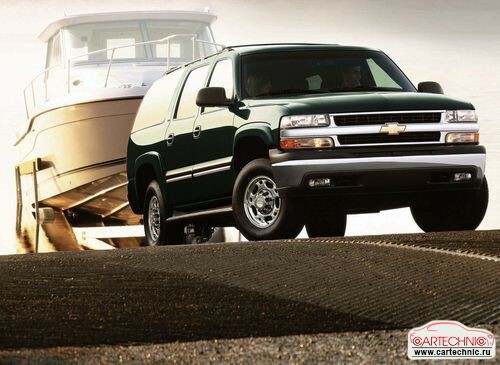 2003 г.
Chevrolet Suburban 5.3 FlexFuel 4AT 1500 4AT Sport Coupe 4AT 320 л.с. 2007 г. 2008 г.
Chevrolet Suburban 5.3 FlexFuel 4AT 4WD 1500 4AT Sport Coupe 4AT 310 л.с. 2007 г. 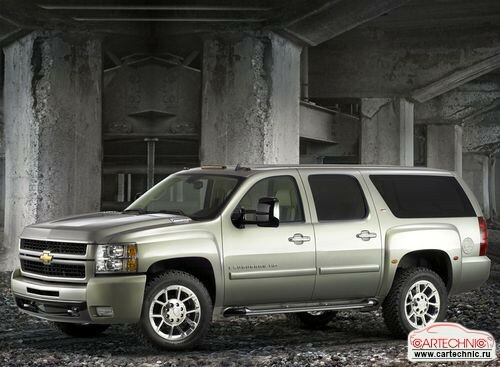 2008 г.
Chevrolet Suburban 5.3 FlexFuel AT 4WD K1500 4AT Sport Coupe 4AT 295 л.с. 2004 г. 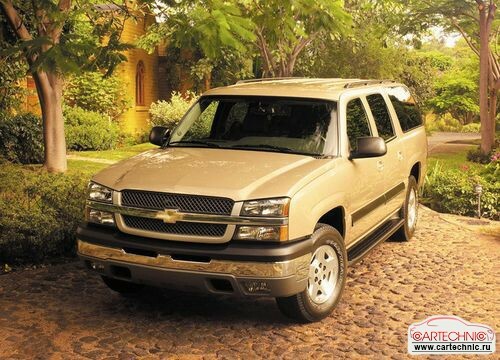 2005 г.
Chevrolet Suburban 5.3 FlexFuel AT C1500 4AT Sport Coupe 4AT 295 л.с. 2004 г. 2005 г.
Chevrolet Suburban 5.3 K1500 AT 4WD 4AT Sport Coupe 4AT 285 л.с. 2000 г. 2003 г.
Chevrolet Suburban 5.7 3AT Turbo Hydra-Matic 3AT Sport Coupe 3AT 250 л.с. 1971 г. 1972 г.
Chevrolet Suburban 5.7 3MT Fully Synchronized 3MT Sport Coupe 3MT 255 л.с. 1967 г. 1970 г.
Chevrolet Suburban 5.7 3MT Heavy-Duty 3MT Sport Coupe 3MT 250 л.с. 1971 г. 1972 г.
Chevrolet Suburban 5.7 3MT Heavy-Duty 4WD 3MT Sport Coupe 3MT 255 л.с. 1967 г. 1970 г.
Chevrolet Suburban 5.7 3MT Heavy-Duty 4WD 3MT Sport Coupe 3MT 250 л.с. 1971 г. 1972 г.
Chevrolet Suburban 5.7 4MT 4MT Sport Coupe 4MT 255 л.с. 1967 г. 1970 г.
Chevrolet Suburban 5.7 4MT 4MT Sport Coupe 4MT 250 л.с. 1971 г. 1972 г.
Chevrolet Suburban 5.7 4MT 4WD 4MT Sport Coupe 4MT 255 л.с. 1967 г. 1970 г.
Chevrolet Suburban 5.7 4MT 4WD 4MT Sport Coupe 4MT 250 л.с. 1971 г. 1972 г.
Chevrolet Suburban 5.7 5AT 5dr Sport Coupe 5AT 250 л.с. 1991 г. 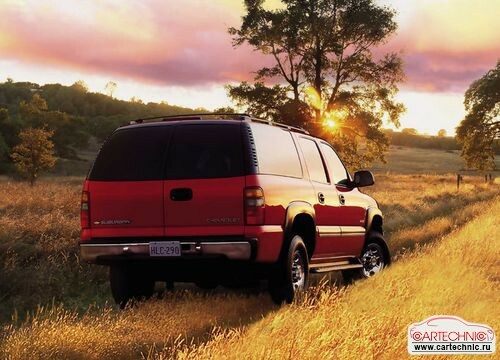 2001 г.
Chevrolet Suburban 5.7 5AT 5dr Sport Coupe 5AT 210 л.с. 1991 г. 2001 г.
Chevrolet Suburban 5.7 C10 3AT 3AT Sport Coupe 3AT 165 л.с. 1981 г. 1981 г.
Chevrolet Suburban 5.7 C10 3MT Fully Synchronized 3MT Sport Coupe 3MT 155 л.с. 1973 г. 1973 г.
Chevrolet Suburban 5.7 C10 3MT Fully Synchronized 3MT Sport Coupe 3MT 160 л.с. 1974 г. 1975 г.
Chevrolet Suburban 5.7 C10 3MT Fully Synchronized 3MT Sport Coupe 3MT 165 л.с. 1976 г. 1978 г.
Chevrolet Suburban 5.7 C10 3MT Fully Synchronized 3MT Sport Coupe 3MT 165 л.с. 1979 г. 1979 г.
Chevrolet Suburban 5.7 C10 3MT Fully Synchronized 3MT Sport Coupe 3MT 170 л.с. 1980 г. 1980 г.
Chevrolet Suburban 5.7 C10 4AT 4AT Sport Coupe 4AT 165 л.с. 1983 г. 1986 г.
Chevrolet Suburban 5.7 C10 4MT 4MT Sport Coupe 4MT 155 л.с. 1973 г. 1973 г.
Chevrolet Suburban 5.7 C10 4MT 4MT Sport Coupe 4MT 160 л.с. 1974 г. 1975 г.
Chevrolet Suburban 5.7 C10 4MT 4MT Sport Coupe 4MT 165 л.с. 1977 г. 1978 г.
Chevrolet Suburban 5.7 C10 4MT 4MT Sport Coupe 4MT 165 л.с. 1979 г. 1979 г.
Chevrolet Suburban 5.7 C10 4MT 4MT Sport Coupe 4MT 170 л.с. 1980 г. 1980 г.
Chevrolet Suburban 5.7 C10 4MT 4MT Sport Coupe 4MT 165 л.с. 1981 г. 1981 г.
Chevrolet Suburban 5.7 C10 AT Turbo Hydra-Matic 3AT Sport Coupe 3AT 155 л.с. 1973 г. 1973 г.
Chevrolet Suburban 5.7 C10 AT Turbo Hydra-Matic 3AT Sport Coupe 3AT 160 л.с. 1974 г. 1975 г.
Chevrolet Suburban 5.7 C10 AT Turbo Hydra-Matic 3AT Sport Coupe 3AT 165 л.с. 1976 г. 1978 г.
Chevrolet Suburban 5.7 C10 AT Turbo Hydra-Matic 3AT Sport Coupe 3AT 165 л.с. 1979 г. 1979 г.
Chevrolet Suburban 5.7 C10 AT Turbo Hydra-Matic 3AT Sport Coupe 3AT 170 л.с. 1980 г. 1980 г.
Chevrolet Suburban 5.7 C1500 4AT 4AT Sport Coupe 4AT 210 л.с. 1992 г. 1993 г.
Chevrolet Suburban 5.7 C1500 4AT 4AT Sport Coupe 4AT 200 л.с. 1994 г. 1995 г.
Chevrolet Suburban 5.7 C1500 4AT 4AT Sport Coupe 4AT 255 л.с. 1996 г. 1999 г.
Chevrolet Suburban 5.7 C20 3AT 3AT Sport Coupe 3AT 160 л.с. 1981 г. 1981 г.
Chevrolet Suburban 5.7 C20 3AT 3AT Sport Coupe 3AT 160 л.с. 1983 г. 1985 г.
Chevrolet Suburban 5.7 C20 3AT 3AT Sport Coupe 3AT 185 л.с. 1986 г. 1986 г.
Chevrolet Suburban 5.7 C20 3MT Fully Synchronized 3MT Sport Coupe 3MT 155 л.с. 1973 г. 1973 г.
Chevrolet Suburban 5.7 C20 3MT Fully Synchronized 3MT Sport Coupe 3MT 160 л.с. 1974 г. 1975 г.
Chevrolet Suburban 5.7 C20 3MT Fully Synchronized 3MT Sport Coupe 3MT 165 л.с. 1976 г. 1976 г.
Chevrolet Suburban 5.7 C20 4AT 4AT Sport Coupe 4AT 160 л.с. 1983 г. 1985 г.
Chevrolet Suburban 5.7 C20 4MT 4MT Sport Coupe 4MT 155 л.с. 1973 г. 1973 г.
Chevrolet Suburban 5.7 C20 4MT 4MT Sport Coupe 4MT 160 л.с. 1974 г. 1975 г.
Chevrolet Suburban 5.7 C20 4MT 4MT Sport Coupe 4MT 165 л.с. 1976 г. 1978 г.
Chevrolet Suburban 5.7 C20 4MT 4MT Sport Coupe 4MT 165 л.с. 1979 г. 1979 г.
Chevrolet Suburban 5.7 C20 4MT 4MT Sport Coupe 4MT 160 л.с. 1981 г. 1981 г.
Chevrolet Suburban 5.7 C20 4MT 4MT Sport Coupe 4MT 160 л.с. 1983 г. 1985 г.
Chevrolet Suburban 5.7 C20 4MT 4MT Sport Coupe 4MT 185 л.с. 1986 г. 1986 г.
Chevrolet Suburban 5.7 C20 AT Turbo Hydra-Matic 3AT Sport Coupe 3AT 155 л.с. 1973 г. 1973 г.
Chevrolet Suburban 5.7 C20 AT Turbo Hydra-Matic 3AT Sport Coupe 3AT 160 л.с. 1974 г. 1975 г.
Chevrolet Suburban 5.7 C20 AT Turbo Hydra-Matic 3AT Sport Coupe 3AT 165 л.с. 1976 г. 1978 г.
Chevrolet Suburban 5.7 C20 AT Turbo Hydra-Matic 3AT Sport Coupe 3AT 165 л.с. 1979 г. 1979 г.
Chevrolet Suburban 5.7 C20 AT Turbo Hydra-Matic 3AT Sport Coupe 3AT 170 л.с. 1980 г. 1980 г.
Chevrolet Suburban 5.7 C20/C6K 4MT 4MT Sport Coupe 4MT 165 л.с. 1980 г. 1980 г.
Chevrolet Suburban 5.7 C20/C6K AT Turbo Hydra-Matic 3AT Sport Coupe 3AT 165 л.с. 1980 г. 1980 г.
Chevrolet Suburban 5.7 C2500 4AT 4AT Sport Coupe 4AT 190 л.с. 1992 г. 1994 г.
Chevrolet Suburban 5.7 C2500 4AT 4AT Sport Coupe 4AT 180 л.с. 1995 г. 1995 г.
Chevrolet Suburban 5.7 C2500 4AT 4AT Sport Coupe 4AT 255 л.с. 1996 г. 1999 г.
Chevrolet Suburban 5.7 K10 3AT 4WD 3AT Sport Coupe 3AT 165 л.с. 1981 г. 1981 г.
Chevrolet Suburban 5.7 K10 3MT Fully Synchronized 4WD 3MT Sport Coupe 3MT 155 л.с. 1973 г. 1973 г.
Chevrolet Suburban 5.7 K10 3MT Fully Synchronized 4WD 3MT Sport Coupe 3MT 160 л.с. 1974 г. 1975 г.
Chevrolet Suburban 5.7 K10 3MT Fully Synchronized 4WD 3MT Sport Coupe 3MT 165 л.с. 1976 г. 1978 г.
Chevrolet Suburban 5.7 K10 3MT Fully Synchronized 4WD 3MT Sport Coupe 3MT 165 л.с. 1979 г. 1979 г.
Chevrolet Suburban 5.7 K10 4AT 4WD 4AT Sport Coupe 4AT 165 л.с. 1983 г. 1986 г.
Chevrolet Suburban 5.7 K10 4MT 4WD 4MT Sport Coupe 4MT 155 л.с. 1973 г. 1973 г.
Chevrolet Suburban 5.7 K10 4MT 4WD 4MT Sport Coupe 4MT 160 л.с. 1974 г. 1975 г.
Chevrolet Suburban 5.7 K10 4MT 4WD 4MT Sport Coupe 4MT 165 л.с. 1976 г. 1978 г.
Chevrolet Suburban 5.7 K10 4MT 4WD 4MT Sport Coupe 4MT 165 л.с. 1979 г. 1979 г.
Chevrolet Suburban 5.7 K10 4MT 4WD 4MT Sport Coupe 4MT 165 л.с. 1981 г. 1981 г.
Chevrolet Suburban 5.7 K10 AT Turbo Hydra-Matic 4WD 3AT Sport Coupe 3AT 155 л.с. 1973 г. 1973 г.
Chevrolet Suburban 5.7 K10 AT Turbo Hydra-Matic 4WD 3AT Sport Coupe 3AT 160 л.с. 1974 г. 1975 г.
Chevrolet Suburban 5.7 K10 AT Turbo Hydra-Matic 4WD 3AT Sport Coupe 3AT 165 л.с. 1976 г. 1978 г.
Chevrolet Suburban 5.7 K10 AT Turbo Hydra-Matic 4WD 3AT Sport Coupe 3AT 165 л.с. 1979 г. 1979 г.
Chevrolet Suburban 5.7 K10 AT Turbo Hydra-Matic 4WD 3AT Sport Coupe 3AT 170 л.с. 1980 г. 1980 г.
Chevrolet Suburban 5.7 K1500 4AT 4WD 4AT Sport Coupe 4AT 210 л.с. 1992 г. 1993 г.
Chevrolet Suburban 5.7 K1500 4AT 4WD 4AT Sport Coupe 4AT 200 л.с. 1994 г. 1995 г.
Chevrolet Suburban 5.7 K1500 4AT 4WD 4AT Sport Coupe 4AT 255 л.с. 1996 г. 1999 г.
Chevrolet Suburban 5.7 K20 3AT 4WD 3AT Sport Coupe 3AT 160 л.с. 1981 г. 1981 г.
Chevrolet Suburban 5.7 K20 3AT 4WD 3AT Sport Coupe 3AT 160 л.с. 1983 г. 1985 г.
Chevrolet Suburban 5.7 K20 3AT 4WD 3AT Sport Coupe 3AT 185 л.с. 1986 г. 1986 г.
Chevrolet Suburban 5.7 K20 3MT Fully Synchronized 4WD 3MT Sport Coupe 3MT 155 л.с. 1973 г. 1973 г.
Chevrolet Suburban 5.7 K20 3MT Fully Synchronized 4WD 3MT Sport Coupe 3MT 160 л.с. 1974 г. 1975 г.
Chevrolet Suburban 5.7 K20 3MT Fully Synchronized 4WD 3MT Sport Coupe 3MT 165 л.с. 1976 г. 1978 г.
Chevrolet Suburban 5.7 K20 3MT Fully Synchronized 4WD 3MT Sport Coupe 3MT 165 л.с. 1979 г. 1979 г.
Chevrolet Suburban 5.7 K20 4AT 4WD 4AT Sport Coupe 4AT 160 л.с. 1983 г. 1985 г.
Chevrolet Suburban 5.7 K20 4MT 4WD 4MT Sport Coupe 4MT 155 л.с. 1973 г. 1973 г.
Chevrolet Suburban 5.7 K20 4MT 4WD 4MT Sport Coupe 4MT 160 л.с. 1974 г. 1975 г.
Chevrolet Suburban 5.7 K20 4MT 4WD 4MT Sport Coupe 4MT 165 л.с. 1976 г. 1978 г.
Chevrolet Suburban 5.7 K20 4MT 4WD 4MT Sport Coupe 4MT 165 л.с. 1979 г. 1979 г.
Chevrolet Suburban 5.7 K20 4MT 4WD 4MT Sport Coupe 4MT 165 л.с. 1980 г. 1980 г.
Chevrolet Suburban 5.7 K20 4MT 4WD 4MT Sport Coupe 4MT 160 л.с. 1981 г. 1981 г.
Chevrolet Suburban 5.7 K20 4MT 4WD 4MT Sport Coupe 4MT 160 л.с. 1983 г. 1985 г.
Chevrolet Suburban 5.7 K20 4MT 4WD 4MT Sport Coupe 4MT 185 л.с. 1986 г. 1986 г.
Chevrolet Suburban 5.7 K20 AT Turbo Hydra-Matic 4WD 3AT Sport Coupe 3AT 155 л.с. 1973 г. 1973 г.
Chevrolet Suburban 5.7 K20 AT Turbo Hydra-Matic 4WD 3AT Sport Coupe 3AT 160 л.с. 1974 г. 1975 г.
Chevrolet Suburban 5.7 K20 AT Turbo Hydra-Matic 4WD 3AT Sport Coupe 3AT 165 л.с. 1976 г. 1978 г.
Chevrolet Suburban 5.7 K20 AT Turbo Hydra-Matic 4WD 3AT Sport Coupe 3AT 165 л.с. 1979 г. 1979 г.
Chevrolet Suburban 5.7 K20 AT Turbo Hydra-Matic 4WD 3AT Sport Coupe 3AT 165 л.с. 1980 г. 1980 г.
Chevrolet Suburban 5.7 K2500 4AT 4WD 4AT Sport Coupe 4AT 190 л.с. 1992 г. 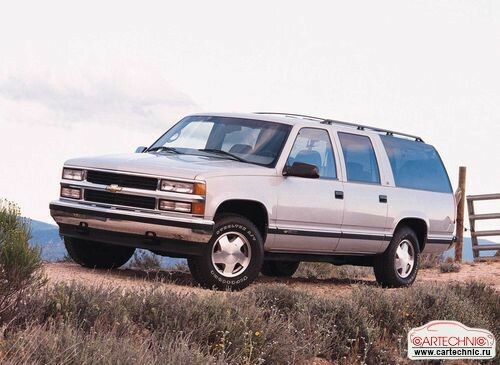 1994 г.
Chevrolet Suburban 5.7 K2500 4AT 4WD 4AT Sport Coupe 4AT 180 л.с. 1995 г. 1995 г.
Chevrolet Suburban 5.7 K2500 4AT 4WD 4AT Sport Coupe 4AT 255 л.с. 1996 г. 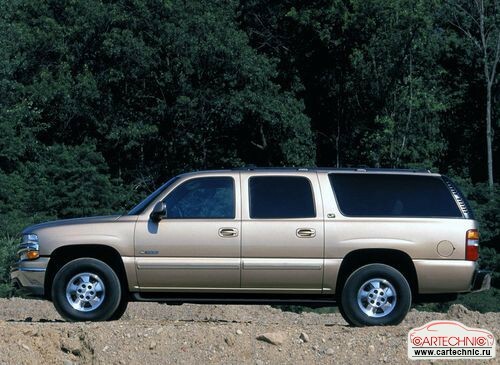 1999 г.
Chevrolet Suburban 5.7 Powerglide 2AT Sport Coupe 2AT 255 л.с. 1967 г. 1970 г.
Chevrolet Suburban 5.7 R10 4AT 4AT Sport Coupe 4AT 210 л.с. 1987 г. 1988 г.
Chevrolet Suburban 5.7 R10 4AT 4AT Sport Coupe 4AT 210 л.с. 1989 г. 1991 г.
Chevrolet Suburban 5.7 R20 3AT 3AT Sport Coupe 3AT 195 л.с. 1987 г. 1988 г.
Chevrolet Suburban 5.7 R20 3AT 3AT Sport Coupe 3AT 190 л.с. 1989 г. 1991 г.
Chevrolet Suburban 5.7 R20 4MT 4MT Sport Coupe 4MT 195 л.с. 1987 г. 1988 г.
Chevrolet Suburban 5.7 R20 4MT 4MT Sport Coupe 4MT 190 л.с. 1989 г. 1991 г.
Chevrolet Suburban 5.7 Turbo Hydra-Matic 3AT Sport Coupe 3AT 255 л.с. 1967 г. 1970 г.
Chevrolet Suburban 5.7 Turbo Hydra-Matic 4WD 3AT Sport Coupe 3AT 250 л.с. 1971 г. 1972 г.
Chevrolet Suburban 5.7 V10 4AT 4WD 4AT Sport Coupe 4AT 210 л.с. 1987 г. 1988 г.
Chevrolet Suburban 5.7 V10 4AT 4WD 4AT Sport Coupe 4AT 210 л.с. 1989 г. 1991 г.
Chevrolet Suburban 5.7 V10 4MT 4WD 4MT Sport Coupe 4MT 210 л.с. 1987 г. 1988 г.
Chevrolet Suburban 5.7 V20 3AT 4WD 3AT Sport Coupe 3AT 195 л.с. 1987 г. 1988 г.
Chevrolet Suburban 5.7 V20 3AT 4WD 3AT Sport Coupe 3AT 190 л.с. 1989 г. 1991 г.
Chevrolet Suburban 5.7 V20 4MT 4WD 4MT Sport Coupe 4MT 195 л.с. 1987 г. 1988 г.
Chevrolet Suburban 5.7 V20 4MT 4WD 4MT Sport Coupe 4MT 190 л.с. 1989 г. 1991 г.
Chevrolet Suburban 6.0 1500 4AT 4AT Sport Coupe 4AT 366 л.с. 2007 г. 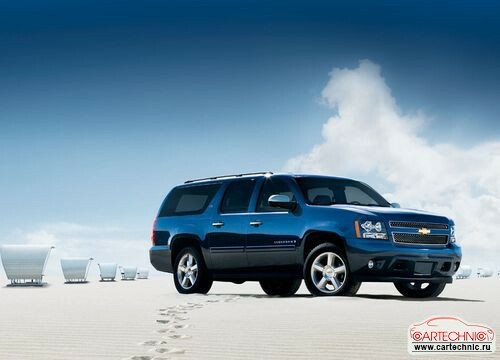 2008 г.
Chevrolet Suburban 6.0 1500 4AT 4WD 4AT Sport Coupe 4AT 366 л.с. 2007 г. 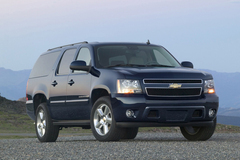 2008 г.
Chevrolet Suburban 6.0 2500 4AT 4AT Sport Coupe 4AT 352 л.с. 2007 г. 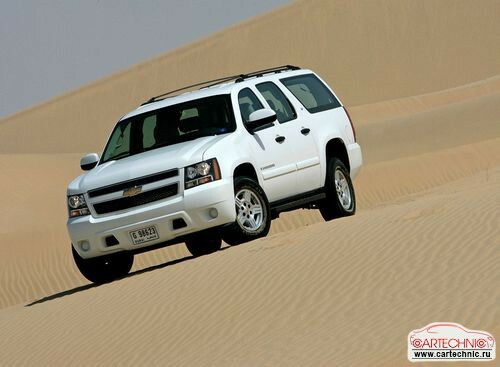 2008 г.
Chevrolet Suburban 6.0 2500 4AT 4WD 4AT Sport Coupe 4AT 352 л.с. 2007 г. 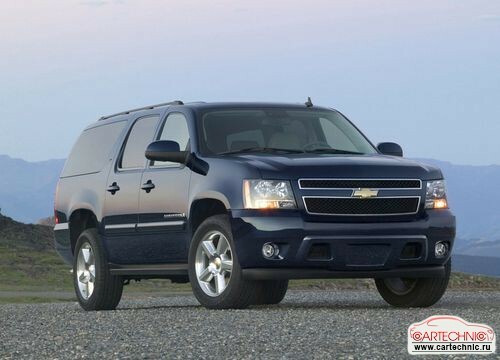 2008 г.
Chevrolet Suburban 6.0 5AT 5dr Sport Coupe 5AT 304 л.с. 2000 г. 2006 г.
Chevrolet Suburban 6.0 C2500 AT 4AT Sport Coupe 4AT 300 л.с. 2000 г. 2000 г.
Chevrolet Suburban 6.0 C2500 AT 4AT Sport Coupe 4AT 320 л.с. 2001 г. 2003 г.
Chevrolet Suburban 6.0 C2500 AT 4AT Sport Coupe 4AT 325 л.с. 2004 г. 2005 г.
Chevrolet Suburban 6.0 K2500 AT 4WD 4AT Sport Coupe 4AT 300 л.с. 2000 г. 2000 г.
Chevrolet Suburban 6.0 K2500 AT 4WD 4AT Sport Coupe 4AT 320 л.с. 2001 г. 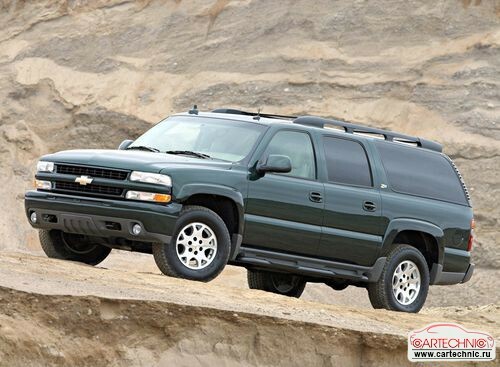 2003 г.
Chevrolet Suburban 6.0 K2500 AT 4WD 4AT Sport Coupe 4AT 325 л.с. 2004 г. 2005 г.
Chevrolet Suburban 6.2D K10 4AT 4WD 4AT Sport Coupe 4AT 130 л.с. 1982 г. 1988 г.
Chevrolet Suburban 6.2D K20 3AT 4WD 3AT Sport Coupe 3AT 135 л.с. 1982 г. 1984 г.
Chevrolet Suburban 6.2D K20 3AT 4WD 3AT Sport Coupe 3AT 148 л.с. 1985 г. 1988 г.
Chevrolet Suburban 6.2D K20 4AT 4WD 4AT Sport Coupe 4AT 135 л.с. 1983 г. 1984 г.
Chevrolet Suburban 6.2D K20 4AT 4WD 4AT Sport Coupe 4AT 148 л.с. 1985 г. 1985 г.
Chevrolet Suburban 6.2D R20 3AT 3AT Sport Coupe 3AT 148 л.с. 1989 г. 1989 г.
Chevrolet Suburban 6.2D R20 3AT 3AT Sport Coupe 3AT 155 л.с. 1990 г. 1991 г.
Chevrolet Suburban 6.2D V20 3AT 4WD 3AT Sport Coupe 3AT 148 л.с. 1989 г. 1989 г.
Chevrolet Suburban 6.2D V20 3AT 4WD 3AT Sport Coupe 3AT 155 л.с. 1990 г. 1991 г.
Chevrolet Suburban 6.2D С10 4AT 4AT Sport Coupe 4AT 130 л.с. 1982 г. 1988 г.
Chevrolet Suburban 6.2D С20 3AT 3AT Sport Coupe 3AT 135 л.с. 1982 г. 1984 г.
Chevrolet Suburban 6.2D С20 3AT 3AT Sport Coupe 3AT 148 л.с. 1985 г. 1988 г.
Chevrolet Suburban 6.2D С20 4AT 4AT Sport Coupe 4AT 135 л.с. 1983 г. 1984 г.
Chevrolet Suburban 6.2D С20 4AT 4AT Sport Coupe 4AT 148 л.с. 1985 г. 1985 г.
Chevrolet Suburban 6.5 3MT Fully Synchronized 3MT Sport Coupe 3MT 310 л.с. 1967 г. 1970 г.
Chevrolet Suburban 6.5 4MT 4MT Sport Coupe 4MT 310 л.с. 1967 г. 1970 г.
Chevrolet Suburban 6.5 5AT 5dr Sport Coupe 5AT 180 л.с. 1991 г. 2001 г.
Chevrolet Suburban 6.5 i V8 TD 5dr Sport Coupe 5AT 180 л.с. 1991 г. 2001 г.
Chevrolet Suburban 6.5 Powerglide 2AT Sport Coupe 2AT 310 л.с. 1967 г. 1970 г.
Chevrolet Suburban 6.5 Turbo Hydra-Matic 3AT Sport Coupe 3AT 310 л.с. 1967 г. 1970 г.
Chevrolet Suburban 6.5TD C1500 4AT 4AT Sport Coupe 4AT 190 л.с. 1995 г. 1997 г.
Chevrolet Suburban 6.5TD C1500 4AT 4AT Sport Coupe 4AT 195 л.с. 1998 г. 1999 г.
Chevrolet Suburban 6.5TD C2500 4AT 4AT Sport Coupe 4AT 190 л.с. 1994 г. 1997 г.
Chevrolet Suburban 6.5TD C2500 4AT 4AT Sport Coupe 4AT 195 л.с. 1998 г. 1999 г.
Chevrolet Suburban 6.5TD K1500 4AT 4WD 4AT Sport Coupe 4AT 190 л.с. 1995 г. 1997 г.
Chevrolet Suburban 6.5TD K1500 4AT 4WD 4AT Sport Coupe 4AT 195 л.с. 1998 г. 1999 г.
Chevrolet Suburban 6.5TD K2500 4AT 4WD 4AT Sport Coupe 4AT 190 л.с. 1994 г. 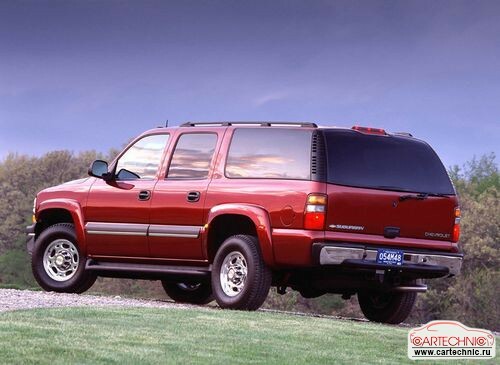 1997 г.
Chevrolet Suburban 6.5TD K2500 4AT 4WD 4AT Sport Coupe 4AT 195 л.с. 1998 г. 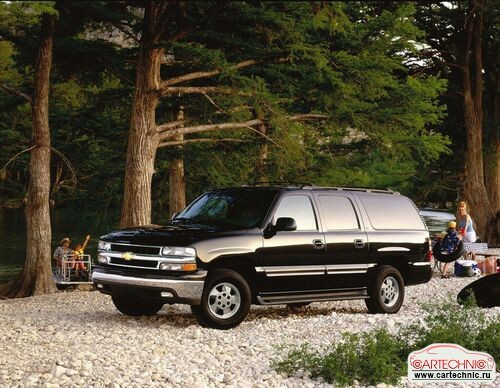 1999 г.
Chevrolet Suburban 6.6 3MT Heavy Duty 3MT Sport Coupe 3MT 300 л.с. 1971 г. 1972 г.
Chevrolet Suburban 6.6 4MT 4MT Sport Coupe 4MT 300 л.с. 1971 г. 1972 г.
Chevrolet Suburban 6.6 K10 AT Turbo Hydra-Matic 4WD 3AT Sport Coupe 3AT 175 л.с. 1975 г. 1978 г.
Chevrolet Suburban 6.6 K10 AT Turbo Hydra-Matic 4WD 3AT Sport Coupe 3AT 185 л.с. 1979 г. 1979 г.
Chevrolet Suburban 6.6 K20 AT Turbo Hydra-Matic 4WD 3AT Sport Coupe 3AT 175 л.с. 1975 г. 1978 г.
Chevrolet Suburban 6.6 K20 AT Turbo Hydra-Matic 4WD 3AT Sport Coupe 3AT 185 л.с. 1979 г. 1979 г.
Chevrolet Suburban 6.6 K20 AT Turbo Hydra-Matic 4WD 3AT Sport Coupe 3AT 180 л.с. 1980 г. 1980 г.
Chevrolet Suburban 6.6 Turbo Hydra-Matic 3AT Sport Coupe 3AT 300 л.с. 1971 г. 1972 г.
Chevrolet Suburban 7.4 5AT 5dr Sport Coupe 5AT 290 л.с. 1991 г. 2001 г.
Chevrolet Suburban 7.4 C10 AT Turbo Hydra-Matic 3AT Sport Coupe 3AT 240 л.с. 1973 г. 1973 г.
Chevrolet Suburban 7.4 C10 AT Turbo Hydra-Matic 3AT Sport Coupe 3AT 230 л.с. 1974 г. 1974 г.
Chevrolet Suburban 7.4 C10 AT Turbo Hydra-Matic 3AT Sport Coupe 3AT 245 л.с. 1975 г. 1975 г.
Chevrolet Suburban 7.4 C10 AT Turbo Hydra-Matic 3AT Sport Coupe 3AT 240 л.с. 1976 г. 1978 г.
Chevrolet Suburban 7.4 C10 AT Turbo Hydra-Matic 3AT Sport Coupe 3AT 205 л.с. 1979 г. 1979 г.
Chevrolet Suburban 7.4 C20 3AT 3AT Sport Coupe 3AT 210 л.с. 1981 г. 1981 г.
Chevrolet Suburban 7.4 C20 3AT 3AT Sport Coupe 3AT 210 л.с. 1983 г. 1984 г.
Chevrolet Suburban 7.4 C20 3AT 3AT Sport Coupe 3AT 240 л.с. 1986 г. 1986 г.
Chevrolet Suburban 7.4 C20 AT Turbo Hydra-Matic 3AT Sport Coupe 3AT 240 л.с. 1973 г. 1973 г.
Chevrolet Suburban 7.4 C20 AT Turbo Hydra-Matic 3AT Sport Coupe 3AT 230 л.с. 1974 г. 1974 г.
Chevrolet Suburban 7.4 C20 AT Turbo Hydra-Matic 3AT Sport Coupe 3AT 245 л.с. 1975 г. 1975 г.
Chevrolet Suburban 7.4 C20 AT Turbo Hydra-Matic 3AT Sport Coupe 3AT 240 л.с. 1976 г. 1978 г.
Chevrolet Suburban 7.4 C20 AT Turbo Hydra-Matic 3AT Sport Coupe 3AT 205 л.с. 1979 г. 1979 г.
Chevrolet Suburban 7.4 C20 AT Turbo Hydra-Matic 3AT Sport Coupe 3AT 210 л.с. 1980 г. 1980 г.
Chevrolet Suburban 7.4 C2500 4AT 4AT Sport Coupe 4AT 230 л.с. 1992 г. 1995 г.
Chevrolet Suburban 7.4 C2500 4AT 4AT Sport Coupe 4AT 290 л.с. 1996 г. 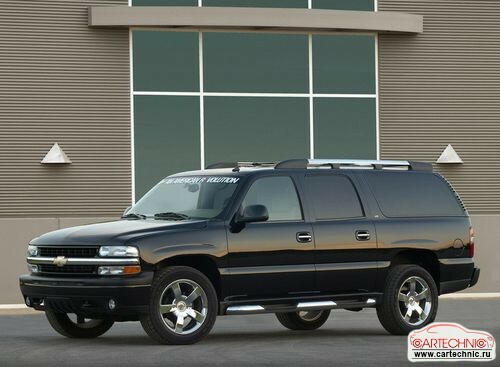 1999 г.
Chevrolet Suburban 7.4 i V8 5dr Sport Coupe 5AT 230 л.с. 1991 г. 2001 г.
Chevrolet Suburban 7.4 K2500 4AT 4WD 4AT Sport Coupe 4AT 230 л.с. 1992 г. 1995 г.
Chevrolet Suburban 7.4 K2500 4AT 4WD 4AT Sport Coupe 4AT 290 л.с. 1996 г. 1999 г.
Chevrolet Suburban 7.4 R20 3AT 3AT Sport Coupe 3AT 230 л.с. 1987 г. 1988 г.
Chevrolet Suburban 7.4 R20 3AT 3AT Sport Coupe 3AT 230 л.с. 1989 г. 1991 г.
Chevrolet Suburban 8.1 5AT 5dr Sport Coupe 5AT 344 л.с. 2000 г. 2006 г.
Chevrolet Suburban 8.1 C2500 AT 4AT Sport Coupe 4AT 340 л.с. 2001 г. 2003 г.
Chevrolet Suburban 8.1 C2500 AT 4AT Sport Coupe 4AT 320 л.с. 2004 г. 2005 г.
Chevrolet Suburban 8.1 K2500 AT 4WD 4AT Sport Coupe 4AT 340 л.с. 2001 г. 2003 г.
Chevrolet Suburban 8.1 K2500 AT 4WD 4AT Sport Coupe 4AT 320 л.с. 2004 г. 2005 г.